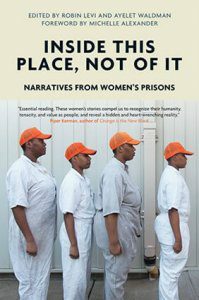 [We] chose a body of literature that critically and anecdotally explores our nation’s prisons and the crisis of mass incarceration. The program is guided by the Literature for Justice committee, a cohort of well-known authors who are also experts, leaders, and advocates within the space of mass incarceration. This committee is tasked with the creation and selection of a reading list of five books annually to guide readers through this complex issue, with the hope that these texts will help shift public perception and understanding of mass incarceration through the power of storytelling. Collectively, the selected books tell a story about America’s carceral system and what it means for all Americans. 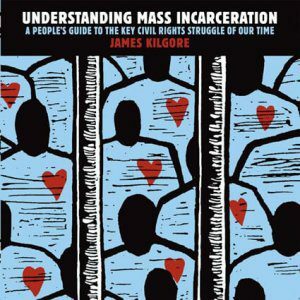 In addition to publicizing and promoting the LFJ reading list, the National Book Foundation will present several large-scale public events featuring authors and experts on mass incarceration, accompanied by digital assets like supplemental reading recommendations and further commentary from the LFJ committee. 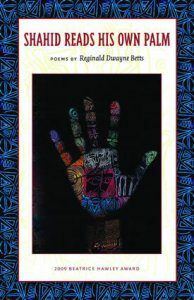 Literature for Justice is made possible from the Art for Justice Fund, a sponsored project of Rockefeller Philanthropy Advisors. 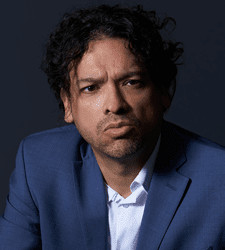 Sergio De La Pava is the author of three novels: A Naked Singularity, Personae, and Lost Empress. He is also a lifelong public defender and Legal Director at New York County Defender Services in Manhattan where he represents indigent criminal defendants and advocates for large-scale criminal justice reform. 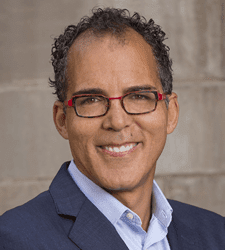 He has taught at Seton Hall Law School and lectured, spoken, and written on criminal justice issues for The Guardian, MoMA PS1, Harvard Law, Public Radio International, Sky News, New York Daily News, and other venues. James Forman Jr. attended Yale Law School, and after he graduated, worked as a law clerk for Justice Sandra Day O’Connor of the U.S. Supreme Court. After clerking, he joined the Public Defender Service in Washington, D.C., where for six years he represented juveniles and adults in felony and misdemeanor cases. Professor Forman loved being a public defender, but he quickly became frustrated with the lack of education and job training opportunities for his clients. In 1997, along with David Domenici, he started the Maya Angelou Public Charter School, an alternative school for dropouts and youth who had previously been arrested. The school recently celebrated its 20th anniversary. At Yale Law School, where he has taught since 2011, Professor Forman teaches Criminal Law and a course called Race, Class, and Punishment. He began teaching behind prison walls in 2016, and now regularly offers a seminar called Inside-Out Prison Exchange: Issues in Criminal Justice. The class brings together ten Yale Law students and ten incarcerated students who meet weekly to study side by side in the prison. Professor Forman’s first book, Locking Up Our Own: Crime and Punishment in Black America, was called “superb and shattering” in The New York Times, “eloquent” and “sobering” in the London Review of Books, and “moving, nuanced, and candid” in The New York Review of Books. The book was named one of the 10 best books of the year by The New York Times and multiple other outlets, longlisted for the National Book Award, and was awarded the 2018 Pulitzer Prize for Nonfiction. Photo courtesy of James Forman, Jr.
Mitchell S. Jackson’s debut novel The Residue Years was praised by publications including The New York Times, The Paris Review, and The Times of London. Jackson is the winner of a Whiting Award. 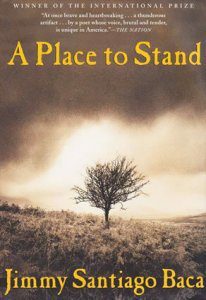 His novel also won The Ernest J. Gaines Prize for Literary Excellence and was a finalist for the Center for Fiction’s Flaherty-Dunnan First Novel Prize, the PEN/Hemingway Award, and the Hurston/Wright Legacy Award. Jackson’s honors include fellowships from TED, the Lannan Foundation, the Bread Loaf Conference, and the Center for Fiction. His writing has appeared in publications including The New York Times Book Review, The Guardian, and Tin House. Jackson is a Clinical Associate Professor of Writing in the Liberal Studies Program of New York University. A well-regarded speaker, Jackson has delivered lectures and keynote addresses at events and institutions including the annual TED Conference, the Yale Law School RebLaw Conference, the Sydney Writers’ Festival, Brown University, Cornell University, and Columbia University. Jackson is also an advocate for criminal justice reform and visits prisons and youth facilities in the United States and abroad. 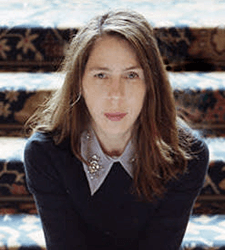 Rachel Kushner is the author of the bestselling novel The Flamethrowers, which was a Finalist for the 2013 National Book Award, the 2014 Folio Prize, the James Tait Black Prize, and was chosen as one of the five best novels of the year by The New York Times. 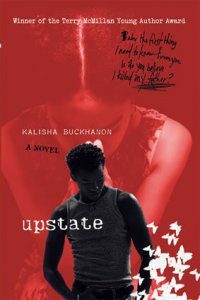 Her debut novel, Telex from Cuba, was a Finalist for the 2008 National Book Award and the Dayton Literary Peace Prize, winner of the California Book Award, and a New York Times bestseller and Notable Book. 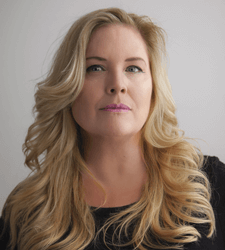 Her new novel, published in 2018, is The Mars Room. Kushner’s fiction has appeared in The New Yorker, Harper’s, and The Paris Review. She has received fellowship awards from the Guggenheim Foundation and the American Academy of Arts and Letters, and is on the advisory board of Justice Now, which advocates against human rights abuses in California women’s prisons, and whose leadership is comprised of people currently incarcerated. Dr. Heather Ann Thompson is a historian at the University of Michigan in the Department of Afro-American and African Studies and the Department of History. She is the Pulitzer Prize– and Bancroft Prize–winning author of Blood in the Water: The Attica Prison Uprising of 1971 and its Legacy. Blood in the Water received six additional book awards, was a 2016 Finalist for the National Book Award, The Los Angeles Times Book Award, and The Cundill Book Prize, it received an honorable mention for the Silver Gavel Award, and landed on over 20 best of 2016 book lists including that of The New York Times. Thompson is also a public intellectual who writes regularly on the history of policing, mass incarceration and the current criminal justice system for The New York Times, Newsweek, Time, The Washington Post, Rolling Stone, Jacobin, The Atlantic, Salon, Dissent, NBC, New Labor Forum, The Daily Beast, and The Huffington Post, as well as for top scholarly publications. Her award-winning scholarly articles include: “Why Mass Incarceration Matters: Rethinking Crisis, Decline and Transformation in the Postwar United States” from The Journal of American History, and “Rethinking Working-Class Struggle through the Lens of the Carceral State: Toward a Labor History of Inmates and Guards” in Labor: Studies in Working-Class History of the Americas. On the policy front, Thompson served on a National Academy of Sciences blue-ribbon panel that studied the causes and consequences of mass incarceration in the U.S. Thompson has also served on the boards of several policy organizations and has been appointed to the National Academy of Sciences standing committee, The Committee on Law and Justice. 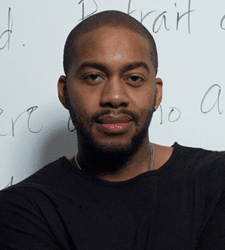 In 2018, Thompson was awarded a Bearing Witness Writing Fellowship from the Art for Justice Fund. Her next book is on the MOVE bombing of 1985. October 24, 2018 | 7 p.m. Literature can transform the way we look at the world, deepening our understanding of even the most complex issues of today. Recognizing the strength of the written word, the National Book Foundation is launching its Literature for Justice program, which is designed to bring broad awareness to the issue of mass incarceration in America through the power of books. Every year for the next three years the Foundation will announce a list of five books, selected by a committee of writers and experts, that will humanize, contextualize, and render more real the causes, consequences, and complexities of mass incarceration. Join us for the launch of this program at the Los Angeles Public Library, where committee members, authors, experts, activists, and other well-known figures will help announce these illuminating and urgent works. 2008 and 2013 National Book Award Fiction Finalist Rachel Kushner (The Flamethrowers, Telex From Cuba) will moderate the panel discussion and 2016 Nonfiction Finalist Dr. Heather Ann Thompson (Blood in the Water: The Attica Prison Uprising of 1971 and Its Legacy) will be the host for the evening. Featured authors include James Kilgore (Understanding Mass Incarceration: A People’s Guide to the Key Civil Rights Struggle of Our Time), Ayelet Waldman and Theresa Martinez (Inside This Place, Not of It: Narratives From Women’s Prisons), Kalisha Buckhanon (Upstate: A Novel), and Antonio Baca (Jimmy Santiago Baca’s son, A Place to Stand). This event is made possible by the Art for Justice Fund and presented in partnership with the Los Angeles Public Library.